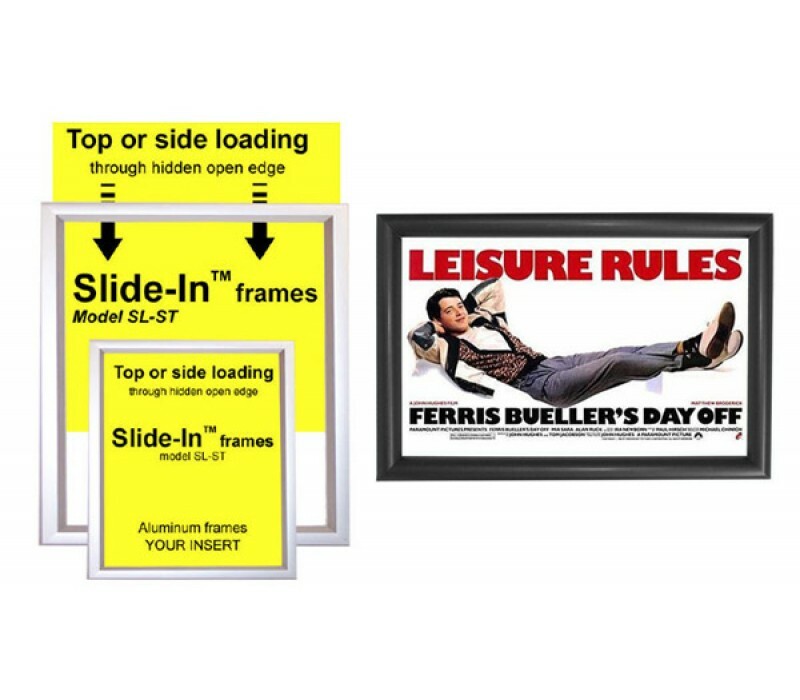 Slide-In Poster Frames feature easy graphic changes with no tools required. 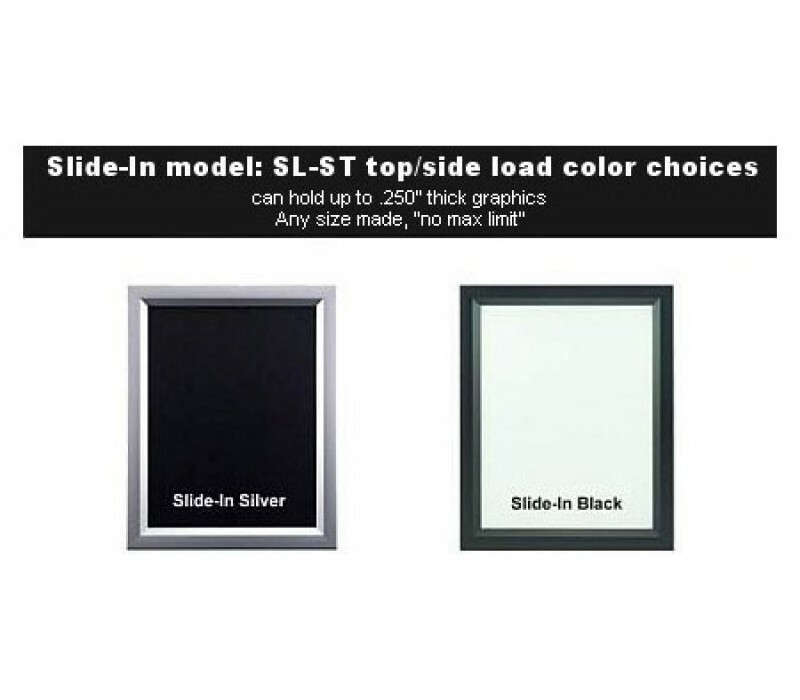 Sleek anodized aluminum framing system available in silver or black finish. Corrugated plastic backer included. Available in a variety of sizes and sizes up to 24in x 36in come fully assembled and ready to hang. 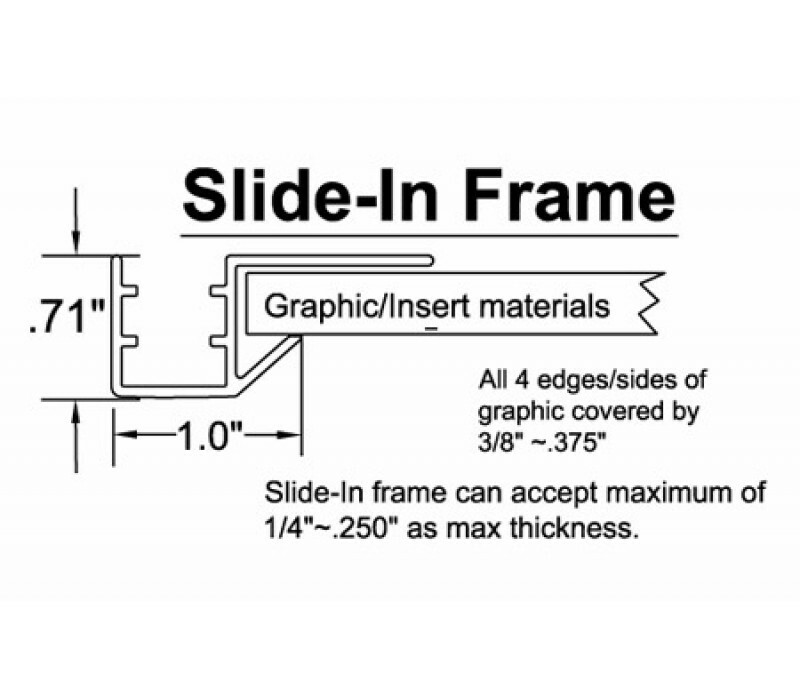 Larger sizes will require simple on-site assembly. 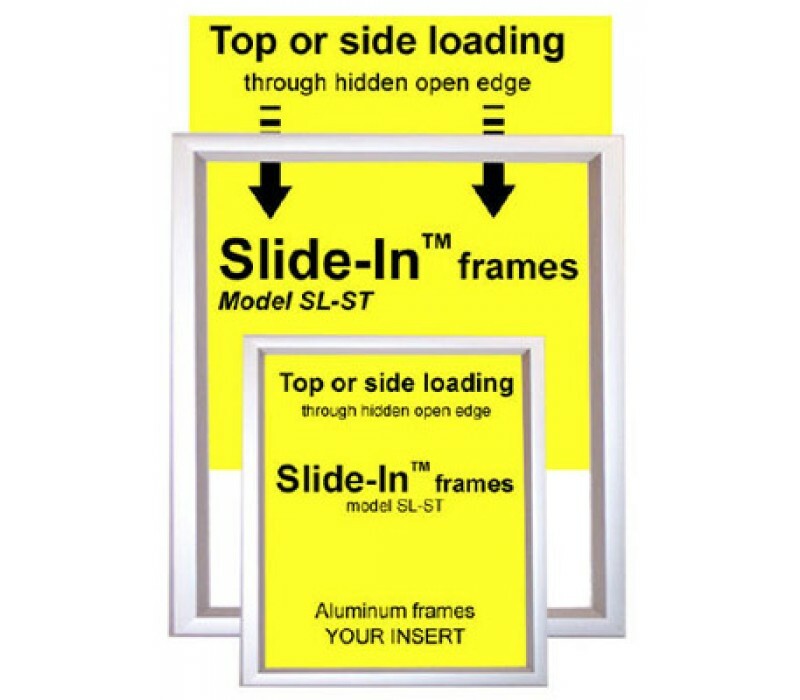 All frames come standard with clear protective lens. Custom sizes are available. Custom sizes available. Please contact us for ordering.